M. Vacca, K. P. Tripathi, L. Speranza, R. A. Cigliano, F. ScalabrÃ¬, F. Marracino, M. Madonna, W. Sanseverino, C. Perrone Capano, M. R. Guarracino and Maurizio Dâ€™Esposito. Effects of Mecp2 loss of function in embryonic cortical neurons: a bioinformatics strategy to sort out non-neuronal cells variability from transcriptome profiling. BMC Bioinformatics, 17 (2), 189, 2016. K. P. Tripathi, D. Evangelista, A. Zuccaro, M.R. Guarracino. Transcriptator: an automated computational pipeline to annotate assembled reads and identify non coding RNA. PlosOne, 10 (11), e0140268, 2015. M. Viola, M. Sangiovanni, G. Toraldo, M. R. Guarracino. A Generalized Eigenvalues Classifier with Embedded Feature Selection. Optimization Letters, Springer, pp 1--15 2015. C.M. Williams, M. Watanabe, M.R. Guarracino, M.B. Ferraro, A. Edison, T.J. Morgan, A.F.B. Boroujerdi, D.A. Hahn. Cold adaptation shapes the robustness of metabolic networks in Drosophila melanogaster. Evolution, vol. 68, Issue 12, pages 3505â€“3523, 2014. J. Zilinskas, A. Lancinskas, M.R. Guarracino. Application of Multi-objective Optimization to Pooled Experiments of Next Generation Sequencing for Detection of Rare Mutations. Plos One, 9 (9), e104992, 2014. M.B. Ferraro and M. R. Guarracino. Prediction of rare single-nucleotide causative mutations for muscular diseases in pooled NGS experiments. Journal of Computational Biology, 21 (9), 665-675, 2014. M.R. Guarracino, A. Irpino, R. Jasinevicius, R. Verde. Fuzzy Regularized Generalized Eigenvalue Classier with a Novel Membership Function. Information Science, in print 2013. P. Xanthopoulos, M.R. Guarracino, and P.M. Pardalos, Robust Generalized Eigenvalue Classifiers with Ellipsoidal Uncertainty, Annals of Operation Research, 2013. L. Brunese, B. Greco, F.R. Setola, F. Lassandro, M.R. Guarracino, M. De Rimini, S. Piccolo, N. De Rosa, R. Muto, A. Bianco, P. Muto, R. Grassi, and A. Rotondo. Non-small cell lung cancer evaluated with quantitative contrast-enhanced CT and PET-CT: net enhancement and standardized uptake values are related to tumour size and histology. Medical Science Monitor 2013 Feb 7;19:95-101. G. Aronne, M. Giovanetti, M. R Guarracino, V. De Micco Foraging rules of flower selection applied by colonies of Apis mellifera: ranking and associations of floral sources, Functional Ecology, 26: 1186-1196, 2012. M.R. Guarracino, A. Irpino, N. Radziukyniene, and R. Verde. Supervised Classification of Distributed Data Streams for Smart Grids. Energy Systems, vol. 3, n. 1, pp. 95-108, DOI: 10.1007/s12667-012-0049-x, 2012. M.R. Guarracino, P. Xanthopoulos, G. Pyrgiotakis, V. Tomaino, B.M. Moudgil and P.M. Pardalos, Classification of cancer cell death with spectral dimensionality reduction and generalized eigenvalues, Artificial Intelligence in Medicine, vol. 53, pp. 119-125, 2011. V. Cozza, L. Maddalena, M.R. Guarracino, and A. Baroni. Dynamic Clustering Detection through Multi-Valued Descriptors of Dermoscopic Images. Stastistics in Medicine, vol. 30, n. 20, pp. 2536-2550, 2011. G. Andreotti, M.R. Guarracino, M. Cammisa, A. Correra, and M. V. Cubellis. Prediction of the responsiveness to pharmacological chaperones: lysosomal human alpha-galactosidase, a case of study. Orphanet Journal of Rare Diseases 2010, 5:36. G. Aronne, V. De Micco, and M.R. Guarracino. Application of Support Vector Machines to Melissopalynological Data for Honey Classification. Journal of Agricultural and Environmental Information Systems, vol.1 n.2, pp. 85-94, 2010. M.R. Guarracino, A. Chinchuluun, and P.M. Pardalos. Decision Rules for Efficient Classification of Biological Data. Optimization Letters, vol. 3, n. 3, pp. 357-366, 2009. M.R. Guarracino, S. Cuciniello, and P.M. Pardalos Classification and characterization of gene expression data with generalized eigenvalues. Journal of Optimization Theory and Applications, vol. 141, n. 3, pp. 533-545, 2009. S. Corsaro, P.L. De Angelis, M.R. Guarracino, Z. Marino, V. Monetti, F. Perla, P. Zanetti. Kremm: an E-learning System for Mathematical Models Applied to Economics and Finance. Journal of e-Learning and Knowledge Society, Giunti, vol. 5, n. 1, pp. 221 - 230, 2009. P. D'Ambra, G. Della Vecchia, M.R. Guarracino. 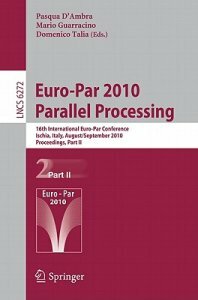 Parallel, distributed and network-based processing. Journal of Systems Architecture, Elsevier, vol. 54, n. 9, pp. 841-842, 2008. M.R. Guarracino, F. Perla, P. Zanetti. A Sparse Nonsymmetric Eigensolver for Distributed Memory Architectures, International Journal of Parallel, Emergent and Distributed Systems, vol. 23, n. 3, pp. 259 - 270, 2008. C. Cifarelli, M.R. Guarracino, O. Seref, S. Cuciniello, and P.M. Pardalos. Incremental Classification with Generalized Eigenvalues, Journal of Classification, vol. 24, n. 2 pp. 205-219, 2007. M.R. Guarracino, S. Cuciniello, D. Feminiano. Incremental Generalized Eigenvalue Classification on Data Streams. La revue MODULAD, Special Issue on Data Stream Analysis, n. 36, 2007. M.R. Guarracino, C. Cifarelli, O. Seref, P. Pardalos. A Classification Method Based on Generalized Eigenvalue Problems, Optimization Methods and Software, vol. 22, n. 1 Pages 73-81, 2007. M.R. Guarracino, F. Perla, P. Zanetti. A parallel block Lanczos algorithm and its implementation for the evaluation of some eigenvalues of large sparse symmetric matrices on multicomputers. International Journal of Applied Mathematics and Computer Science vol. 16, n. 2, Pages 241-249, 2006. M.R. Guarracino, F. Perla, P. Zanetti. A Parallel Computational Kernel For Sparse Nonsymmetric Eigenvalue Problems On Multicomputers. International Journal of Pure and Applied Mathematics vol. 22 n. 2, Pages 269-281, 2005. M.R. Guarracino, F. Perla. A Parallel Block Lanczos' Algorithm for Distributed Memory Architectures, International Journal of Parallel, Emergent and Distributed Systems, vol. 4, n. 3,4, Pages 211-221, 1994. Laura Casalino, Pasqua D'Ambra, Mario R. Guarracino, Antonio Irpino, Lucia Maddalena, Francesco Maiorano, Gabriella Minchiotti, and Eduardo Jorge Patriarca. Image Analysis and Classification for High-Throughput Screening of Embryonic Stem Cellsi. 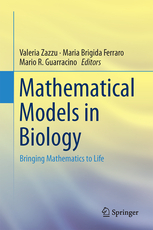 In â€œBringing Math to Lifeâ€�, Springer, Pages 17-31, 2015. A. Agliata, M. De Martino, M.B. Ferraro and M.R. Guarracino. IGV-plus: a Java software for the analysis and visualization of Next-Generation Sequencing datai. In â€œDynamics of Information Systems - Computational and Mathematical Challengesâ€� C. Vogiatzis, J. Walteros, P. Pardalos editors, Springer Proceedings in Mathematics & Statistics, Pages 149-160, 2014. M.B. Ferraro and M.R. Guarracino. From separating to proximal plane classifiers: a review. In "Clusters, orders, trees: methods and applications." Panos Pardalos, Boris Goldengorin, and Fuad Aleskerov editors, Springer Optimization and Its Applications series, Volume 92, Pages 167-180, 2014. A. Irpino, R. Verde, M.R. Guarracino. Classification of Data Chunks Using Proximal Vector Machines and Singular Value Decomposition. Classification and Data Mining - Springer series on Studies in Classification, Data Analysis, and Knowledge Organization, in print, 2013. M.R. Guarracino, R. Jasinevicius, R. Krusinskiene, and V. Petrauskas. Fuzzy Hyperinference-Based Pattern Recognition. Towards Advanced Data Analysis by Combining Soft Computing and Statistics - Springer series on Studies in Fuzziness and Soft Computing Volume 285, Pages 223-240, 2013. R. De Asmundis and M.R. Guarracino. Mathematical Models of Supervised Learning and Application to Medical Diagnosis. Optimization and Data Analysis in Biomedical Informatics - Springer series on Fields Institute Communications Volume 63, Pages 67-81, 2012. D. Tovar, E. Cornejo, P. Xanthopoulos, M.R. Guarracino and P.M. Pardalos. Data Mining in Psychiatric Research. Psychiatric Disorders: Methods and Protocols, Kobeissy, F. H. editor, Springer series on Methods in Molecular Biology, vol. 829, ISBN 978-1-61779-457-5, Pages 593-604, 2012. M.R. Guarracino, A. Nebbia, V. Manna, A. Chinchuluun, P. Pardalos. Protein-protein interactions prediction using Nearest Neighbor classification algorithm and feature selection. BIOMAT 2009, Rubem P. Mondaini editor, World Scientific, Pages 263-276, 2010. M.R. Guarracino, A. Nebbia. Predicting protein-protein interactions with k-Nearest Neighbors classification algorithm, Francesco Masulli, Leif E. Peterson and Roberto Tagliaferri editors, Lecture Notes in Computer Science, vol. 6160/2010, Pages 139-150, DOI: 10.1007/978-3-642-14571-1_10, 2010. M.R. Guarracino, S. Cuciniello, D. Feminiano. Generalized Eigenvalue Proximal Support Vector Machine Problems, Encyclopedia of Optimization, 2nd ed., Christodoulos A. Floudas and Panos M. Pardalos editors, Springer, ISBN: 978-0-387-74758-3, Pages 1183-1185, 2009. M.R. Guarracino, A. Chinchuluun, P. Pardalos. A supervised learning technique and its applications to computational biology. Computational Intelligence Methods for Bioinformatics and Biostatistics, LNBI 5488, ISBN 978-3-642-02503-7 Pages 275-283, 2009. D. Abbate, M.R. Guarracino, A. Chinchuluun, P.M. Pardalos. Neural network classification with prior knowledge for analysis of biological data. BIOMAT 2008, Rubem P. Mondaini editor, World Scientific, ISBN: 978-981-4271-81-3, Pages 223 - 234, 2008. G. Felici, P. Bertolazzi, M.R. Guarracino, A. Chinchuluun, P. Pardalos. Logic formulas based knowledge discovery and its application to the classification of biological data. BIOMAT 2008, Rubem P. Mondaini editor, World Scientific, ISBN: 978-981-4271-81-3, Pages 265 - 279, 2008. M.R. Guarracino, S. Cuciniello, D. Feminiano. A Parallel Classification and Feature Reduction Method for Biomedical Applications, Parallel Bio-Computing, Lecture Notes in Computer Science Volume 4967, 2008, Pages 1210-1219. M.R. Guarracino, S. Cuciniello, D. Feminiano, G. Toraldo, and P.M. Pardalos. Current Classification Algorithms for Biomedical Applications. Centre de Recherches Mathématiques CRM Proceedings & Lecture Notes of the American Mathematical Society, vol. 45, 2008, Pages 109-126. M.R. Guarracino, G. Laccetti, A. Murli. Application Oriented Brokering in Medical Imaging: Algorithms and Software Architecture, Lecture Notes in Computer Science, Volume 3470, Feb 2005, Pages 972-981. P. Bonetto, M. Guarracino, F. Inguglia. Integrating Medical Imaging into a Grid Based Computing Infrastructure, Lecture Notes in Computer Science, Volume 3044, Jan 2004, Pages 505-514. L. D'Amore, M.R. Guarracino, G. Laccetti, A. Murli. Integrating Scientific Software Libraries in Problem Solving Environments: a case study with ScaLAPACK, Lecture Notes in Computer Science, Volume 3044, Jan 2004, Pages 515-524. M. Bertero, P. Bonetto, L. Carracciuolo, L. D'Amore, A. Formiconi, M.R. Guarracino, G. Laccetti, A. Murli and G. Oliva. A Grid-Based RPC System for Medical Imaging, chapter of Parallel and Distributed Scientific and Engineering Computing: Practice and Experience, Y. Pan and L T. Yang editors, Nova Science Publishers, 2004, Pages 189-204. P. G. Georgiev, P. Xanthopoulos, M.R. Guarracino, P.M. Pardalos Subspace Classifiers submitted, 2010. P.M. Pardalos and M.R. Guarracino. Prior knowledge in supervised classification models. IJCCI (ICFC-ICNC) 2010, pp. 13-15, 2010. M.B. Ferraro, and M.R. Guarracino. Prediction of single-nucleotide polymorphisms causative of rare diseases in print, 2013. M.B. Ferraro, A. Irpino, R. Verde, and M.R. Guarracino. A Novel Feature Selection Method for Classification Using a Fuzzy Criterion G. Nicosia and P. Pardalos (Eds. ): LION 7, LNCS 7997, pp. 455--467, 2013. P. Xanthopoulos, R. De Asmudis, M.R. Guarracino, G. Pyrgiotakis, and P.M. Pardalos. Supervised classification methods for mining cell differences as depicted by Raman spectroscopy. CIBB 2010, R. Rizzo and P.J.G. Lisboa (Eds. ), LNBI 6685, Springer, pp. 112-122, 2011. D. Abbate, R. De Asmundis, and M.R. Guarracino. Prior knowledge in the classification of biomedical data. 5th Int. Conf. on Soft Methods in Probability and Statistics (SMPS 2010), Combining Soft Computing and Statistical Methods in Data Analysis, in Advances in Intelligent and Soft Computing series, C. Borgelt et al eds., Springer, ISBN 978-3-642-14745-6 ISSN 1867-5662, pp. 1-8, 2010. A. Irpino, M.R. Guarracino, and R. Verde. Multiclass Generalized Eigenvalue Proximal Support Vector Machines. 4th IEEE Conference on Complex, Intelligent and Software Intensive Systems (CISIS 2010), February 2010, Pages 25-32. M.R. Guarracino, A. Nebbia, V. Manna, A. Chinchuluuny and P.M. Pardalos. Efficient prediction of protein-protein interactions using sequence information . 4th IEEE Conference on Complex, Intelligent and Software Intensive Systems (CISIS 2010), February 2010, Pages 677-682. G. Attratto, D. Femiano, M.R. Guarracino. Strengthening I-ReGEC classifier. First joint meeting of the Société Francophone de Classification and the Classification and Data Analysis Group of SIS, Book of short papers, Edizioni Scientifiche Italiane, Napoli, ISBN 978-88-495-1656-2, June 2008, Pages 169-172. M.R. Guarracino, S. Cuciniello, D. Feminiano. Incremental Learning and Decremented Characterization of gene expression data analysis. CBMS, June 2008, Pages 203-208. M.R. Guarracino, D. Abbate, R. Prevete. Nonlinear knowledge in learning models, in proceedings of Workshop on Prior Conceptual Knowledge in Machine Learning and Knowledge Discovery, European Conference on Machine Learning, Warsaw, September 2007, Pages 29-40. V. Cozza, M.R. Guarracino, R. Verde. Une méthode de partition des images de léesions mélanocytes cutanées, XIVe Rencontre de la Société Francophone de Classification, September 2007. M.R. Guarracino, S. Cuciniello, D. Feminiano. Incremental Generalized Eigenvalue Classification on Data Streams, European Workshop on Data Stream Analysis, March 2007, Pages 102-113. M.R. Guarracino, C. Cifarelli, O. Seref, P.M. Pardalos, A Parallel Classification Method for Genomic and Proteomic Problems, 20th International Conference on Advanced Information Networking and Applications - Volume 2 (AINA'06), 2006, Pages 588-592. V. Boccia, M.R. Guarracino. A Grid Enabled PSE for Medical Imaging: Experiences on MedIGrid. 18th IEEE Symposium on Computer-Based Medical Systems (CBMS'05), 2005 Pages 529-536. F. Giannino, M.R. Guarracino, V. Monetti, N. Romano, G. Toraldo. An Adaptable Learning Technology System for Mathematical Models. ICALT 2004, IEEE Computer Society Press, Pages 654 - 656. P. Bonetto, G. Comis, AR. Formiconi, and M.R. Guarracino, A new approach to brain imaging, based on an open and distributed environment, IEEE EMBS Conference on Neural Engineering, IEEE Press, March 2003, Pages 521-524. L. D'Amore, M.R. Guarracino, G. Laccetti - On the Parallelization of a Commercial PSE for Scientific Computing - 11th EUROMICRO Conf. on Parallel, Distributed and Network-based Processing, IEEE Computer Society Press, February 2003, Pages 441-448. M.R. Guarracino, G. Laccetti, G. Oliva, D. Romano - Performance evaluation of a graphics accelerators cluster. International Conference Parco 2001, Pages 449-456, September, 2001. M.R. Guarracino, G. Laccetti, G. Oliva, U. Scafuri - Yabat: An Administration and Monitoring Software for Beowulf Clusters. Cluster Computing, IEEE Computer Society Press, Chemitz, Page 401, 2000. M.R. Guarracino, G. Laccetti, D. Romano - Browsing Virtual Reality on a PC Cluster. Cluster Computing, IEEE Computer Society Press, Chemitz, Page 201-208, 2000. M.R. Guarracino, F. Perla. 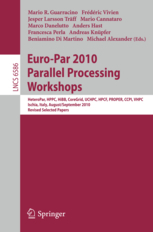 A Parallel Modified Block Lanczos' Algorithm for Distributed Memory Architectures - in PDP '95 Proceedings of the 3rd Euromicro Workshop on Parallel and Distributed Processing, IEEE Computer Society Press, San Remo, 1995, Pages 424-431. M.R. Guarracino, On Classification Methods for Mathematical Models of Learning. Rapporto Tecnico 3.246.1572 del Gruppo di Ottimizzazione e Ricerca Operativa, Dipartimento di Matematica, Università degli Studi di Pisa, Febbraio 2005.